Mr. Demlong’s practice involves the analysis and litigation of complex insurance claims and coverage in both the first-party and third-party context. He has litigated substantial commercial, construction defect and personal injury matters in both federal and state courts. 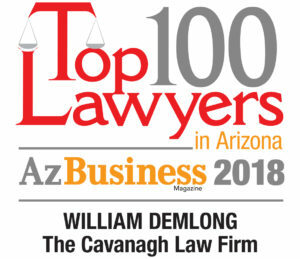 Mr. Demlong has tried cases in Arizona, Nevada and Illinois and has also litigated matters in Louisiana, New Mexico, Montana, Alaska and California. His insurance litigation practice has included all types of policies with particular emphasis on life, health, disability, coverage, general liability, construction defect, personal and commercial automobile, and personal and surplus lines. Mr. Demlong has been active within the United States District Court of the District of Arizona. 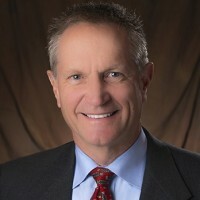 He was an arbitrator for the District Court, a member of that Court’s Technology Committee and is past chair of the Arizona Lawyer Representative for the Ninth Circuit Court of Appeals. He also served as Chair of the District Court’s Magistrate Selection Committee on two occasions in the past year. Throughout his career, Mr. Demlong has given presentations to attorneys, claims professionals and others relating to insurance bad faith, coverage and related topics. Mr. Demlong has been active in community service over the years and has devoted a substantial amount of time to various boards and community groups. Mr. Demlong’s most unique volunteer service was as a reserve police officer for the City of Tempe where he volunteered hundreds of hours a year as patrol officer. He has also been active Chances for Children Arizona, an organization provides fitness and nutrition programs in Arizona schools in an effort to help fight childhood obesity. Defended hundreds of first party bad faith case including life, health, disability, property and casualty, auto, commercial general liability and specialty lines. Tried cases in Arizona, Nevada and Illinois and litigated in a number of additional western states. Prosecuted over 100 interpleader actions in state and federal court, some which included a claim of filing a bad faith interpleader. Instituted numerous declaratory judgment actions to determine the insurer’s obligations under its policies to policyholders. Represented carriers in rescission actions based on misrepresentation on the policy application. Multiple jury trials in both state and federal court alleging insurance bad faith. Assisted dozens of insurers in providing hundreds of coverage opinions relating to property and casualty, auto, commercial general liability and specialty lines. Instituted or defended numerous declaratory judgment actions related to coverage issues multiple states. Defended scores of coverage litigations matters relating to property and casualty, auto, commercial general liability and specialty lines. Has provided a third party defense to numerous insured from personal injuries primarily suffered in a commercial setting or the result of alleged products liability. A number of cases included serious bodily injury or death. Three Senior Members were honored by being named to the 2016 list of the Top 50 Arizona Southwest Super Lawyers. William Demlong, Timothy Hyland and Steven Plitt practice in the areas of Insurance Coverage, Bad Faith, Insurance Defense and Civil Litigation Defense.